Do you want a basic laptop to take out and about with you for a bit of work or play? If you have a little patience then the Flip really is a winning combo. For less than a third of the price of the latest MacBook you get something not a million miles away from it. Well, sort of — it'll come across like a poor copy of it in every single respect. But then we'll just refer you back to the price. It's a shame that the TP200SA's performance problems are so numerous. I initially found it a nice little laptop to work with. For word processing and a bit of internet usage, it did the job. It might make you wait a second to open a new tab or switch windows, but when you consider its low price there's a lot to like. It feels pretty sturdy, unlike a lot of budget laptops which feel as though they’re barely holding together as your fingers hit the keys. Add to that the ability to use it in tablet mode and the TP200SA is a pretty good deal in principle. C heap laptops generally don’t equate to a solid physical design. 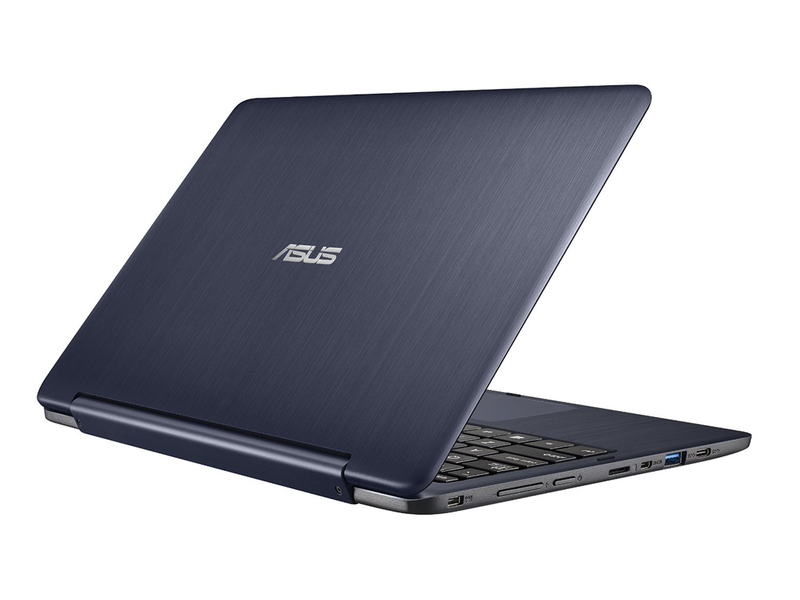 The Asus TP200SA however, is remarkably well made for a laptop with an RRP of $599. Compact with an 11.6” screen and weighing only 1.2kg, it will slip into a satchel bag easily, as will its compact power supply, which is about the size of a large USB charger. 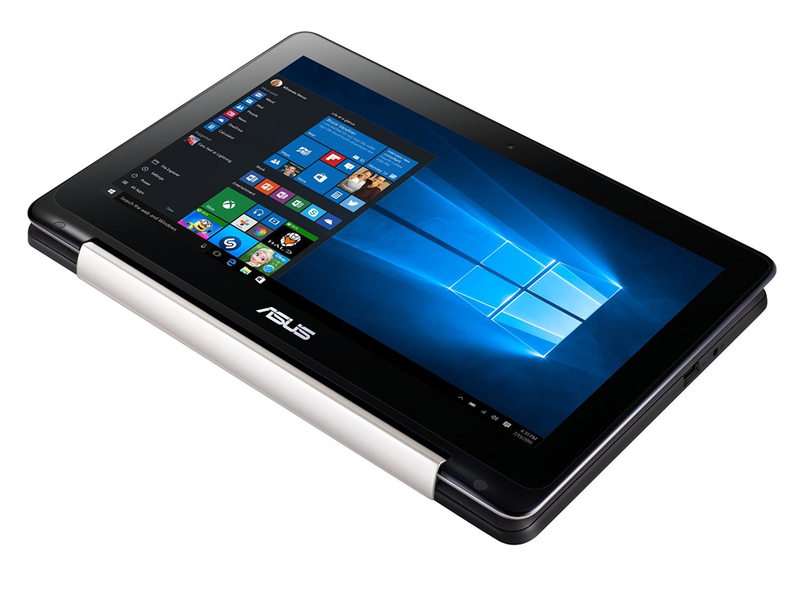 The Asus Transformer Book Flip TP200SA is a good convertible-hybrid at a fair price, with solid build quality, a wide variety of I/O ports, and impressive battery life. The display is sharp, but it could be brighter, and the system's overall performance was on the low end. It does a decent job at the usual tasks like Web browsing and watching videos, but running too many programs at once slows things down, and storage is relatively small. The Dell Inspiron 11 3000 Series 2-in-1 (3147) remains our Editors' Choice for entry-level, convertible-hybrid laptops for its superior performance, much higher storage capacity, and comfortable design, though it will cost you $100 more. 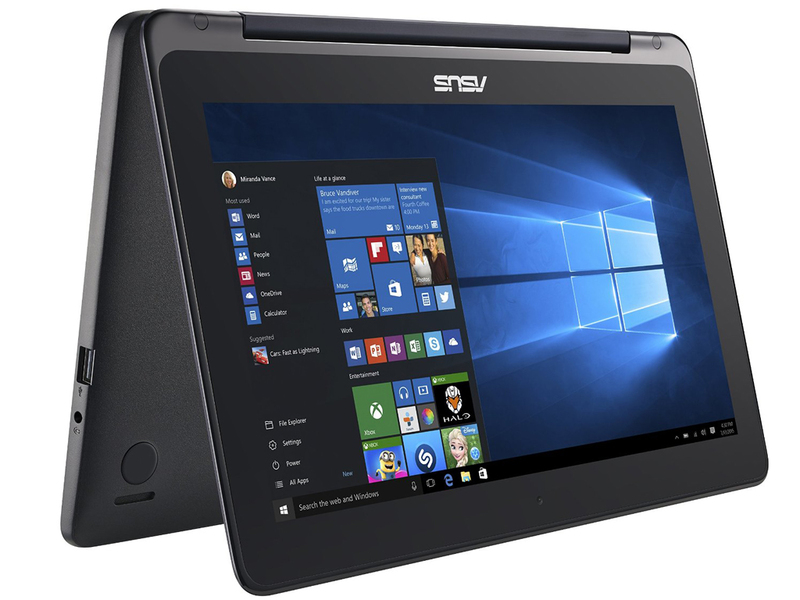 At $349, the Asus Transformer Flip TP200SA is an enticing 2-in-1 notebook, but unless your needs are very basic or you're on a tight budget, you'd be better served paying a little more for a machine with a little more power. And if you're willing to forego the touchscreen and tablet capabilities, you may want to consider saving some coin and opting for the Acer Aspire One Cloudbook instead. October isn’t normally the time for a student laptop — unless you live in the Northern Hemisphere, that is — because down under where this review is published (and where most of GadgetGuy’s readers are located), school is wrapping up. But just in time for the wrap up, Asus has brought out this little lappy, the Transformer Book Flip TP200. Modell: Das Asus Transformer Book Flip TP200SA-FV00TS ist Multi-Mode-Gerät für ausgezeichnete Ergonomie beim Betrachten. Da es sogar als Tablet verwendet werden kann, ist es auf User ausgerichtet, die ein All-in-One-Gerät für jeden Tag suchen. Das Design mit einem soliden Bildschirmdeckel aus gebürstetem Metall ist elegant und schlank gehalten. Das Asus Transformer Book Flip TP200SA-FV00TS verfügt über eine kratzfeste Oberfläche, um sicherzustellen, dass der Laptop so schön wie neu gekauft bleibt. Der schöne 11,6-Zoll-HD-Bildschirm verfügt über ein Seitenverhältnis von 16:9 und liefert kristallklare Details. Der Windows-10-Laptop ist mit SonicMaster Audio ausgestattet, welches das absolut multimediafähige Paket vervollständigt. 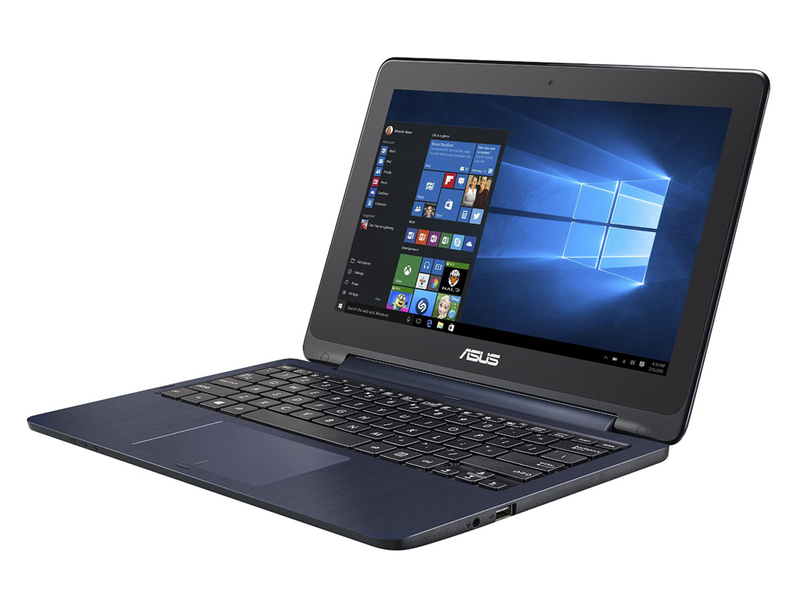 Die Hardware des Asus Transformer Book Flip TP200SA-FV00TS Modells umfasst einen Intel Celeron N3050 Prozessor, 2 GB RAM, eine Intel HD Graphics GPU und einen internen Speicher von entweder 32 oder 64 GB. User können die Speicherkapazität mit einer microSD-Karte erweitern. 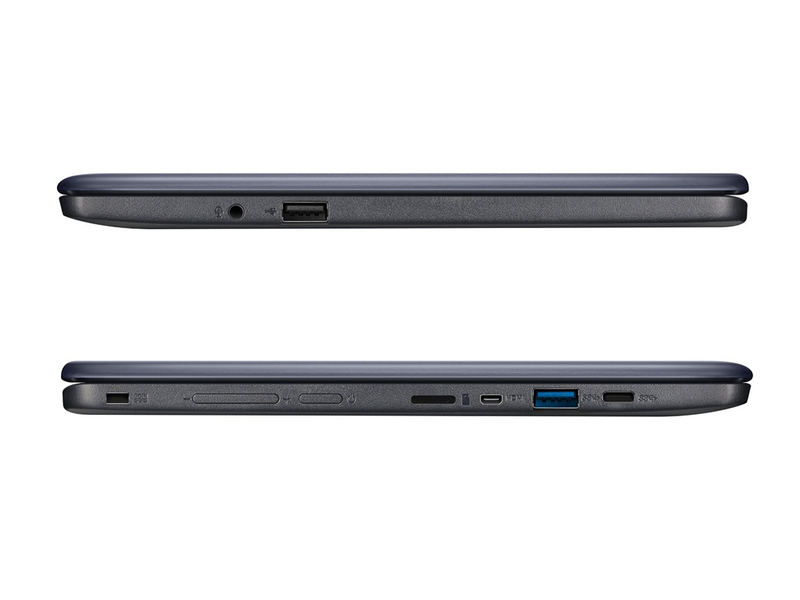 Weitere Features des Asus Transformer Book Flip TP200SA-FV00TS sind eine VGA-Webcam, ein USB-3.0-Port, ein USB-2.0-Port, eine USB-C Gen 1 Schnittstelle und ein micro-HDMI-Ausgang. Die Akkulaufzeit liefert ein Polymer-Akku mit 38 Wh. 70.83%: Diese Bewertung ist schlecht. Die meisten Notebooks werden besser beurteilt. Als Kaufempfehlung darf man das nicht sehen. Auch wenn Verbalbewertungen in diesem Bereich gar nicht so schlecht klingen ("genügend" oder "befriedigend"), meist sind es Euphemismen, die eine Klassifikation als unterdurchschnittliches Notebook verschleiern.